It looks delicious and thanks to the grand-meré for sharing, not an easy thing to do. The French tour starts out with a bang! I’ve always wanted to make this (I have prunes sitting forever in the fridge) but somehow never have- I didn’t think it would be popular. But I am so craving it right now! Ma grand-mère bretonne (comme moi) “Maryvonne”, faisait un far breton excellent. My breton (like me) grandmother “Maryvonne” was cooking a delicious “far breton”. Sometimes with pitted prunes, and sometimes with dried grapes. But in the traditionnal recipe, we allways put salted butter (melted). Don’t you? Dominique, no, I didn’t include salted butter. I will confirm with Ms Couzelin to see if her grand-mère used it! I sure could imagine the delicious salty buttery overtones in the Far Breton. Would just add a little contrast and a little more creaminess! I just used a pinch of salt – and for this, fleur de sel, bien sûr. In Brittany, we use only salty butter, even for cakes ! It’s even hard to find non-salty butter in some places. I don’t know if there is a traditionnal recipe as per as every one add their own “tip”. En Bretagne, it’s all about salted butter for sure, as Ms. Couzelin said here. When I was in St Malo buying my absolute favorite beurre (salé!) de Bordier, I had a long chat with the lady there, and when I asked her about their unsalted butter in the shop – her answer was, “oh, ça c’est pour les Parisiens!” haha! Julia: I hate to say it, but maybe my grand-mère was the only one that wasn’t good at cooking. I have to start adopting recipes from other people’s grand-mères. 🙂 This looks so simple to put together and the intense contrast between light and dark throws in a little drama. I’m a big fan of the rum and prune combination. Hmmm…anything from Brittany seems like heaven!! Belon oysters, Brittany fleur de sel, butter, crepes, and all manners of pastries!!! I should visit this area soon! 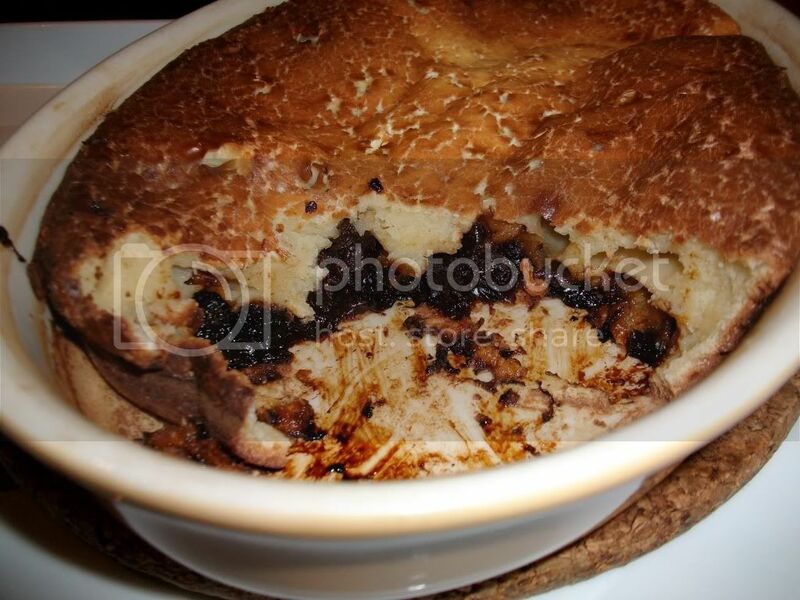 I’ve been thinking of making a far breton forever – your version with prunes is heavenly! This looks so unique and delicious. Thanks for sharing it with us :). I’ve never had this. I will definitely have to make it soon. It seems so easy and looks delicious. Thanks for sharing such a precious recipe. How special… what a lovely recipe. I haven’t seen this around and would love to try it. Could I leave out the prunes? or would that take away too much from the dish? This is so simple but look awesome! Thanks for sharing the recipes and looking forward to more french recipes. What a great way to start the month! Can’t wait to see what else you bring us! 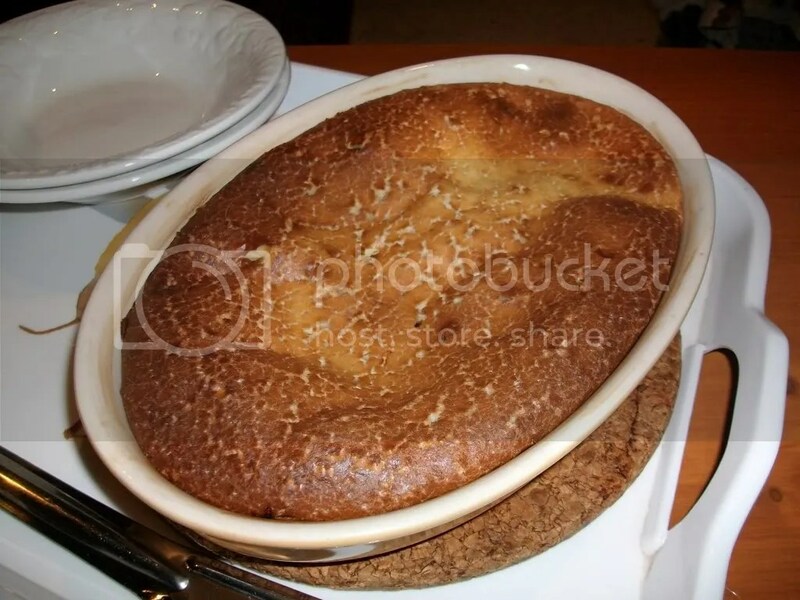 The cake looks beautiful… but guess what – my Grandmother was the best cook in the world! Am off to Brittany this December – will keep my eye out for these! Yum I love this dessert. I haven’t made it in years. I shall try your recipe Julia. That looks soooo good. Adding prunes seem odd for some people but then you just convinced that it’s more than fabulous. Love the photos as always. Hi Julia, Lovely photos as usual. I made this last night and we had it for supper. It was different to what I expected but as I went along realised it is a batter rather like a sweet Yorkshire pudding. It would have been nice with custard or ice cream but we were without those late last night. Did we like it? Well the jury is still out on that one. Looking forward to the next one. That looks divine Julia. I love prunes but get funny looks when I admit it ;P. Looking forward to a month of Frenchness. how delicious! I love the soft billowy top and the prunes lurking beneath! What a great recipe to kick the month off! OOoh, it’s pretty and sounds delish too. I like how puffy and homey it is. Definitely a welcoming dish like grandma would make. That looks absolutely delicious! I’ve never had it before, but it sounds like one that should be on my list!! How wonderful to get this recipe Julia! I’ve made a Gateau Breton which is from Brittany and it’s a thing of beauty indeed so I can imagine how good this is! Wow this looks like a recipe my Finnish mum made for us. It was like a batter with prunes in I think is almost the same. A French month cannot wait to see what you will make. Love the photos as always. And a big thanks for visiting my blog and leaving such kind comments on my macarons. Yours Audax in Sydney. That seems very little compare to any other Far recipe. Did you mean to say 1/2 a liter? Yes, yes. Oh my, what a typo. I meant 1/2 litre / 500ml. Will quickly update now. THANK YOU for pointing that out! I have always heard of this cake “j’en ai entendu parler” but I had never tasted it. I love prunes and this looks so good and totally comfort-food like! That looks just amazing! Now, I’ll break the mold though – my grandmere can’t bake to save her life, but my *arriere* grandmere – hoowee! She was fantastic! I adore Fra Breton and have been looking for a fabulous recipe. Seems I’ve found it! Thank you. Merci beaucoup! This his a classic good home! Very delicious!! Des grands classiques français que j’adore par dessus tout! De belles réussites! I love the regional theme and this looks so good. My husband loves prunes. I have to make this for him.